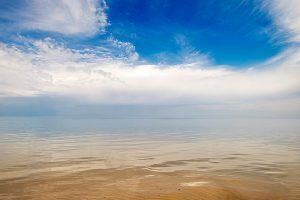 Tuesday, April 9, 2019 (Chicago) – As spring finally begins to appear around the Great Lakes, volunteers are heading out to beaches for a spring cleaning. The Alliance for the Great Lakes’ Adopt-a-Beach program mobilizes thousands of volunteers who give back to their local beaches each year. April, especially Earth Day, marks the unofficial beginning of the beach season around the Great Lakes as many groups host their first Adopt-a-Beach events of the year. Cleanup events will be happening on all five Great Lakes during the two-week Adopt-a-Beach Spring Kick-off event April 13 – April 28. Last year, more than 14,000 Adopt-a-Beach volunteers picked up 35,606 pounds of litter as part of 900 cleanups around the region. In addition to cleaning up beaches, volunteers collect valuable data, which is shared with beach managers and scientists. The results: cleaner beaches and data on pollution sources that can be used to develop solutions to pollution problems. This month’s spring kick-off cleanups are the first wave of events of the 2019 season. Data collected by Adopt-a-Beach volunteers gives insight into the most common and problematic types of litter. In 2018, the majority of trash picked up by Adopt-a-Beach volunteers (87%) was plastic, which includes items like cigarette butts, water bottles, or food containers. In addition to being an eyesore, plastic pollution can harm the lakes and animals that live in them. Over time, plastic litter breaks down into small pieces which can be eaten by birds, fish, and other wildlife. Tiny plastic pieces have also been found in bottled water, beer, and even tap water around the region.